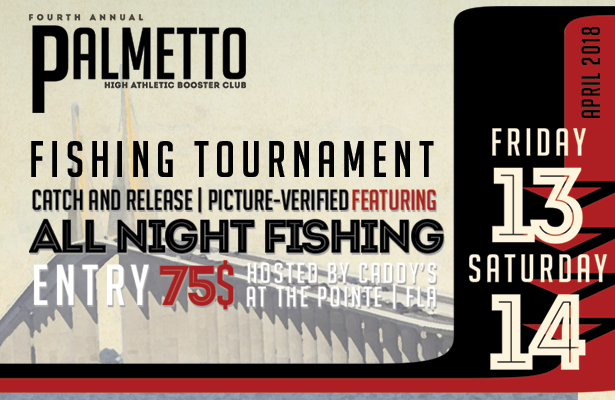 The 4th Annual Palmetto Fishing Tournament presented by Coastal Exteriors is almost here! In our 4th year of hosting the tournament, this year’s event is already shaping up to be the biggest and best yet! We’ve partnered with Caddy’s at the Pointe for this year’s Captain’s Meeting, and Tournament Finale. 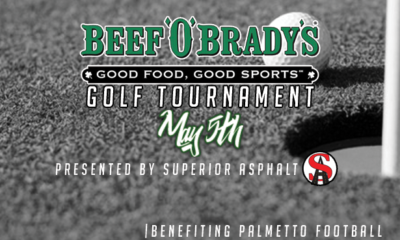 Taking place April 13th through April 14th, our tournament continues to be one of the most affordable tournaments in the area at just a $75 per team entry fee with all proceeds benefiting Palmetto Athletics. Get your team together and get in this event soon! 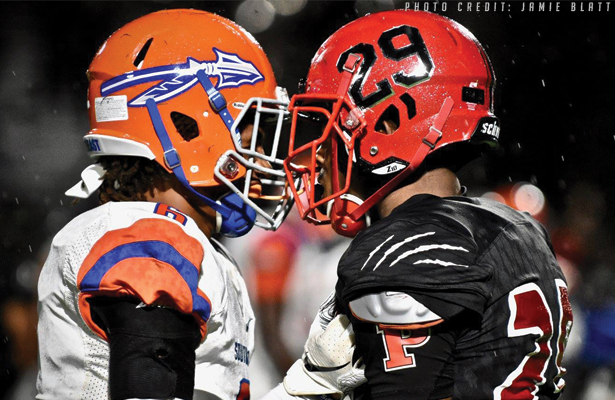 Registration is at 6:00pm | Captain’s Meeting at 7:00pm. ALL CAPTAIN’S MUST BE IN ATTENDANCE. Fishing Begins Immediately FOLLOWING the Captain’s Meeting!! 12:00pm – Weigh-in Opens | 2:00pm Fishing ENDS. ALL ENTRIES MUST BE RECEIVED BEFORE 2pm. $75.00 per team. Must be received before or at the Captain’s Meeting on April 13th, 2018. A $20 cash deposit is due at the Captain’s Meeting to be issued an official measuring stick. The fee will be refunded when the measuring stick is returned at weigh-in.